One of Cardiff’s longest established travel shops has re-launched to meet a new, growing demand for coach holidays. 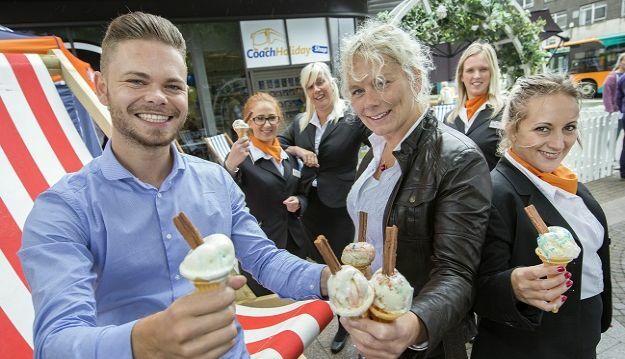 The Coach Holiday Shop, opposite the bus station in Cardiff, has been providing coach holidays across the UK and Europe for nearly 20 years, but a rise in the number of young people and families booking coach holidays has seen a revival in the market. The shop hosted a city centre garden party to celebrate its re-launch and those passing by were treated to free ice creams, live entertainment and garden games.